Having the right tool for the job is essential when working on modern bicycles. 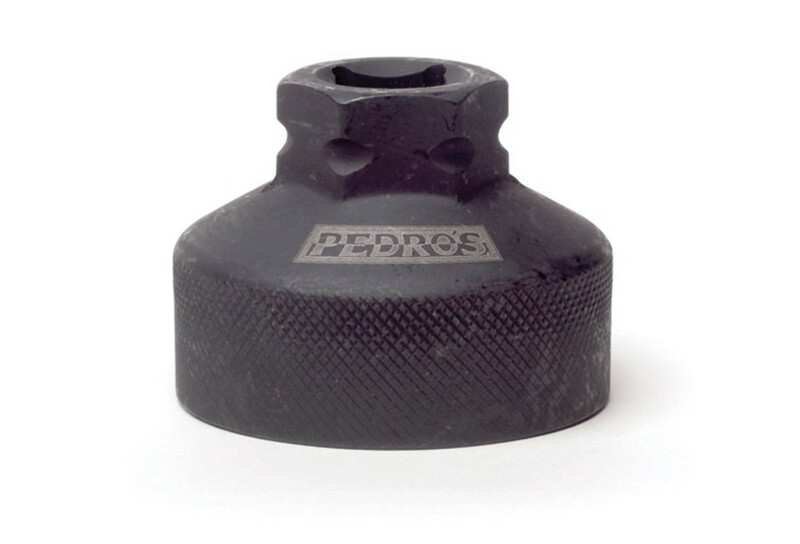 Pedro's socket tools provide the professional quality, precision fit tools required to properly install, remove, and adjust modern drivetrain components. Working closely with each manufacturer, Pedro's designed each socket tool to fit perfectly protecting the component and ensuring simple and safe usage for the mechanic. The External Bottom Bracket Socket is designed to work seamlessly with Pedro's snap-channel Pro Socket handle, with any 24mm socket/wrench, with any square 1/2" drive, or in a bench vise. The Pedro's External Bearing Bottom Bracket Socket fits 16-notch external bearing bottom bracket cups including Shimano® Hollowtech II, Campagnolo® Ultra-Torque and Power Torque, Race Face®, FSA®, SRAM®, Truvativ®, Chris King®, and Phil Wood® outboard bearing. Backed by Pedro's lifetime warranty.